The story of antiquity reads as an endless cycle of expansion, conflict, and conquest. Yet despite the divisions that existed among peoples and nations, the exchange and appropriation of ideas, images, and heroic figures across cultures knew no boundaries, with the Classical World retaining a particular appeal across countries and beliefs. The Institute for the Study of the Ancient World in partnership with the National Library of Israel will explore these shared ideas and transmutations of imagery as expressed through Islamic manuscripts from the 11th through 18th centuries, a particularly rich and fertile period for these works. The exhibition will explore Islamic representations of classical historical and literary figures such as Alexander the Great, as well as the Islamic interpretations of Greek medicine, mathematics, astronomy, astrology, and philosophy. 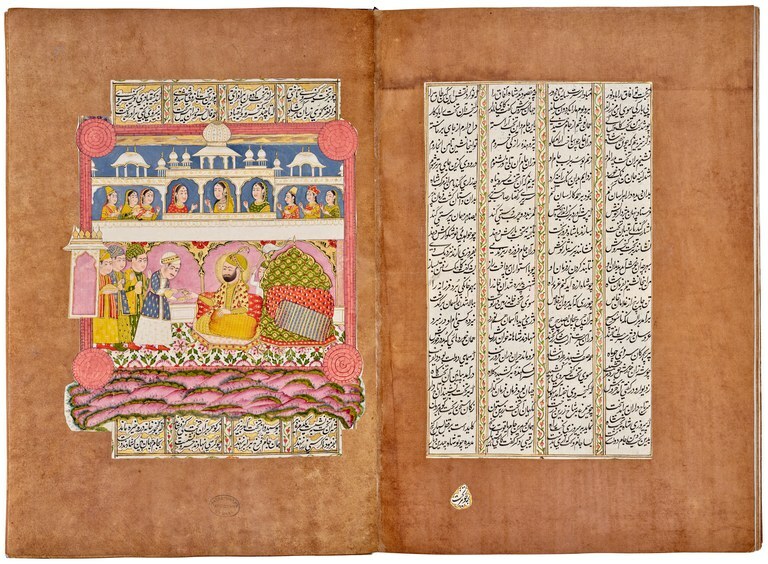 Drawing from the National Library of Israel’s special collections and from other prominent American museums and libraries, Romance and Reason: Islamic Transformations of the Classical Past will include manuscripts from Iran, Afghanistan, India, and Turkey accompanied by ancient Greek and Islamic artifacts that will illustrate the popularity of historical figures and thinkers and the prominence of science in Islamic culture and society. This exhibition and its accompanying catalogue were made possible by generous support from the Selz Foundation, the David Berg Foundation, Barbro and Bernard Osher, and the Leon Levy Foundation. Additional funding was provided by the Persepolis Foundation, Hicham and Dina Aboutaam, and an anonymous foundation.